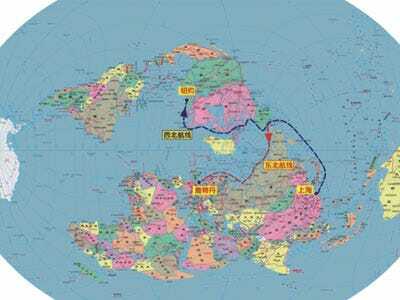 When the ice caps melt, China is going to have a sweet shipping route right through the Arctic Circle. Chinese have allocated vast resources to the polar studies, creating some of the world’s most advanced Arctic research labs, according to a new report by the Stockholm International Peace Research Institute. Shipping through the Arctic would provide faster passage to Europe and America. It would also avoid piracy risks associated with the coast of Africa. Moreover, the only channel open at the moment goes right along the coast of Russia. China fears the imposition of a steep toll — at the very least — if they were to enter so close to national territory, according to Jakobson.